Burgeoning summer borders are dominated by a frenzy of colourful shrubs and perennials, but dont forget that there are plenty of bulbs to grow in summer too. Summer-flowering bulbs take up very little space in the garden so you can squeeze a few into the fullest of borders. For the best displays, a little forward planning is required. Begin to plant summer flowering bulbs, corms and tubers in borders and containers in spring, just as the weather starts to warm up. As a rule of thumb, most bulbs should be planted at 3 times their depth, but there are a few exceptions so it's worth checking our planting depth table in our 'How to grow bulbs' article. There are plenty of summer bulbs to choose from, but if you need some inspiration take a look at our top 10 pick of bulbs that flower in summer. Airy spheres of purple blooms are followed by extraordinary architectural seedheads - if you can resist cutting them for a flower arrangement! 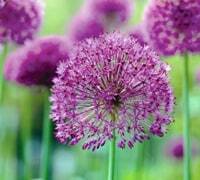 Use large groups of Allium 'Big Impact Mixed' to bridge the gap between late summer and high summer. 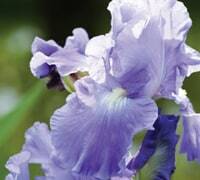 Their upright stems will add plenty of structure to sunny, well drained borders. 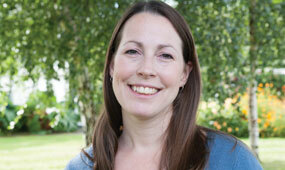 Let lower growing perennials cover the old foliage when it becomes unsightly and dies back later in the season. Flamboyant blooms and a sensational fragrance make the oriental lily instantly recognisable. From tall tree lilies to short ground cover lilies, there's one to suit every garden. The large exotic blooms are surprisingly easy to grow. 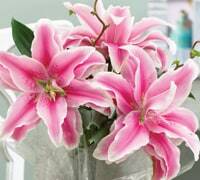 To avoid pollen stains try double-flowered Lily 'China Girl' which is completely pollen free. These stars of the summer border are best grown in containers, waiting in the wings until their big moment. Move them to centre stage as their blooms begin to open and then return them backstage as they fade. 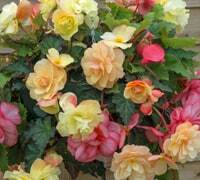 Tuberous begonias are the most glamorous bulbs for adding a bright colour accent to shady patios. They produce beautiful flowers over an incredibly long period, from summer all the way through to the first frosts in November. These are perfect candidates for a window box or hanging basket - choose a fragrant variety such as Begonia 'Fragrant Falls Improved' to hang close to doorways where you can appreciate them at their best. 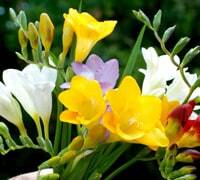 A fabulous cut flower, Freesias produce beautifully fragrant blooms on strong arching stems. Freesias are half-hardy and best grown in the greenhouse or conservatory in most parts of the UK, but in very mild areas it's worth the risk of growing them outside to enjoy these beauties in the garden. These flamboyant summer bulbs were considered a bit old fashioned, but modern hybrids have brought the gladiolus bang up to date. Take a look at the bright colours and ruffled blooms of Gladiolus 'Tango'. Their majestic flower stems look fabulous at the back of a border - even better in a vase indoors! If elegant simplicity is more your style, try growing the exquisite species Gladiolus murielae. 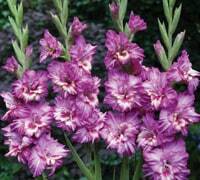 One of the most fragrant summer bulbs you'll find! 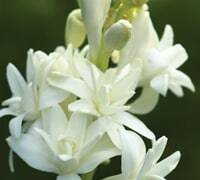 Polianthes tuberosa is highly prized as a cut flower for its beautiful stems of waxy blooms. It requires a minimum temperature of 15°C (59°F) so its best grown in a heated greenhouse or conservatory. This unusual bulb is not the easiest to grow but its well worth the effort once you get a sniff of its extraordinary perfume. No need to fuss over these fast growing corms - they will quickly multiply and wander through your borders all on their own. 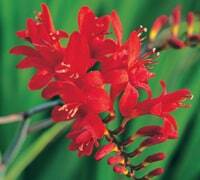 The upright, strap-like foliage, and arching stems tipped with starry flowers in red, orange or yellow, makes crocosmia an exotic-looking addition to summer borders. The vibrant blooms also make lovely cut flowers for a fiery coloured flower arrangement. 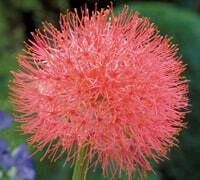 It's easy to see why scadoxus is commonly called the 'fireball lily'. The large spherical flower heads make spectacular cut flowers that will last for up to two weeks in a vase. This unusual summer bulb is definitely one for a greenhouse, conservatory or temporary patio container, as its South African origins make it frost tender. But if you can keep it warm in winter then its well worth growing! These classic cottage garden tubers are deservedly popular for their beautiful ruffled blooms and sturdy strap-like foliage. Many have a lovely light fragrance too which makes them perfect for adding to summery flower arrangements. With so many colours available, its hard to choose just one bearded iris - never mind, they look best planted in groups anyway! To get the best from your bearded iris, choose a sunny, open spot where the tubers can bake in the sun without being shaded by other plants. 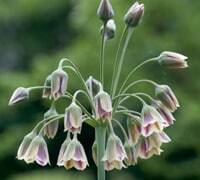 This unusual relation to the allium family produces bell-shaped flowers suspended on arching stems from the main flowerhead, which creates a beautiful candelabra effect. As the flowers set seed they stand upright on their stems, forming an interesting shuttlecock appearance that looks fabulous in dried flower arrangements. Nectaroscordum siculum makes an interesting feature dotted among rockeries and adds a useful vertical accent to the back of borders. Let it seed about to increase your display each year.